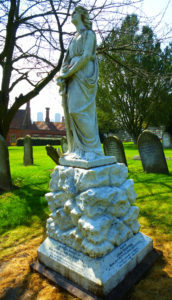 The memorials in our cemetery mark the final resting place of people and serve to connect us with previous generations and their history. 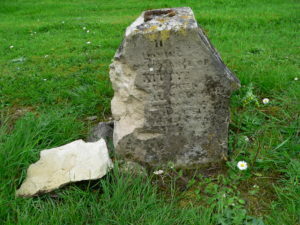 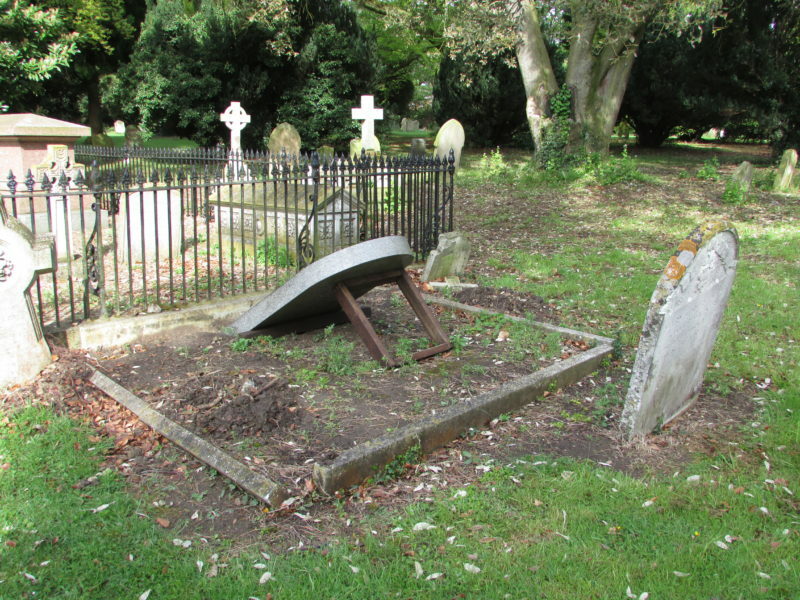 Unfortunately, many of the memorials are also neglected, as those who previously looked after them are no longer able to do so for many reasons. 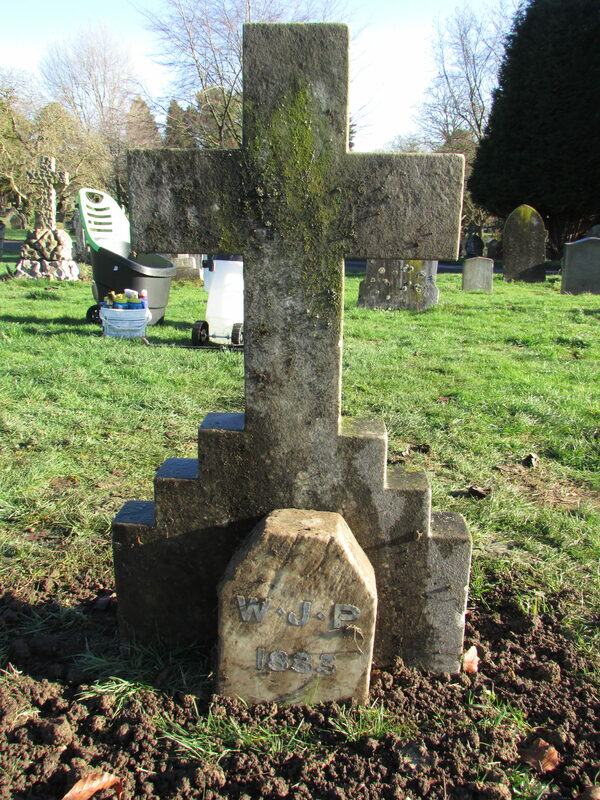 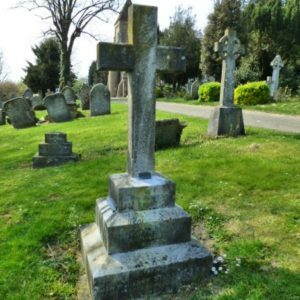 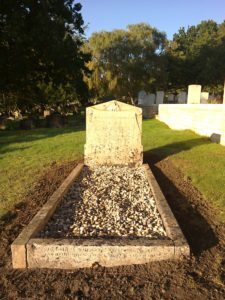 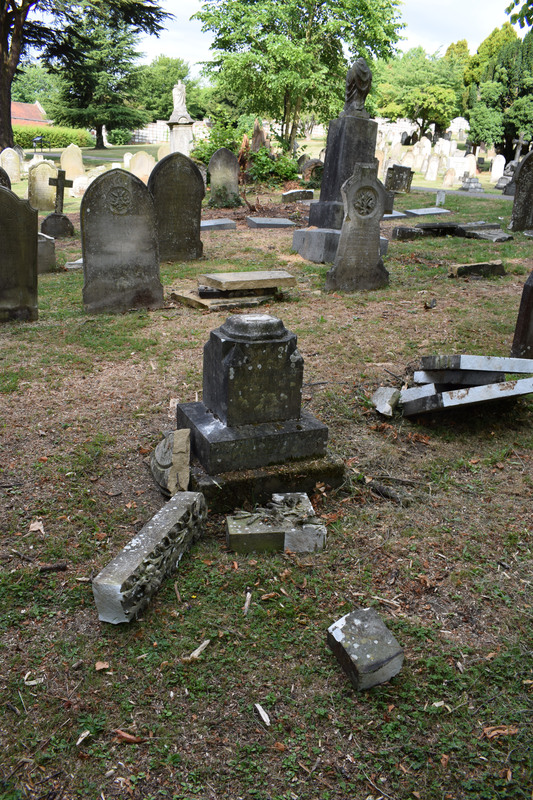 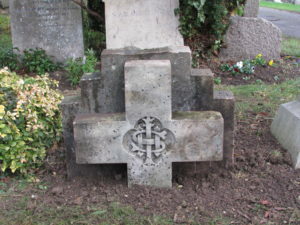 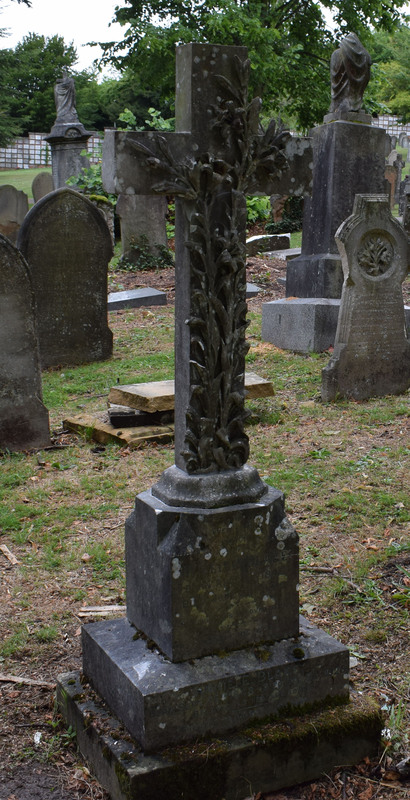 Our team of volunteers have restored some of these neglected memorials to their former glory by restoring fallen over headstones, mending broken gravestones and statues, remarking the borders around graves, cleaning headstones and generally tidying up. Monuments and memorials are always deserving of respect and care. 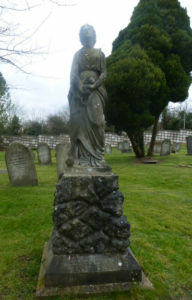 The pictures below show some of our memorials before and after restoration. Emily Goodwin ( 1857-1943) was the second most important person in the Panacea Society, after Mabel Barltrop, and became the leader in 1934. 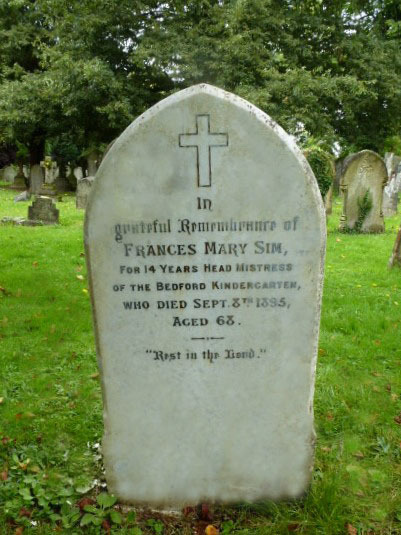 She claimed to be the “Instrument of The Divine Mother” speaking the words of the female aspect of God. 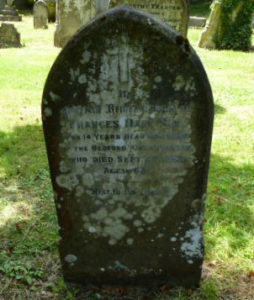 As with Mabel Barltrop, her grave doesn’t have her name, just her initials, and was restored in 2016. Grave Ref I.451. 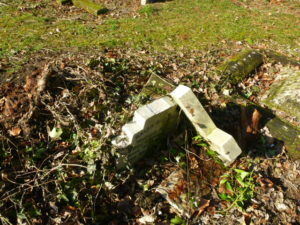 Very nearby to Daniel Jr’s grave is a barely legible little monument where Daniel and Ellen’s daughter Kitty is buried. 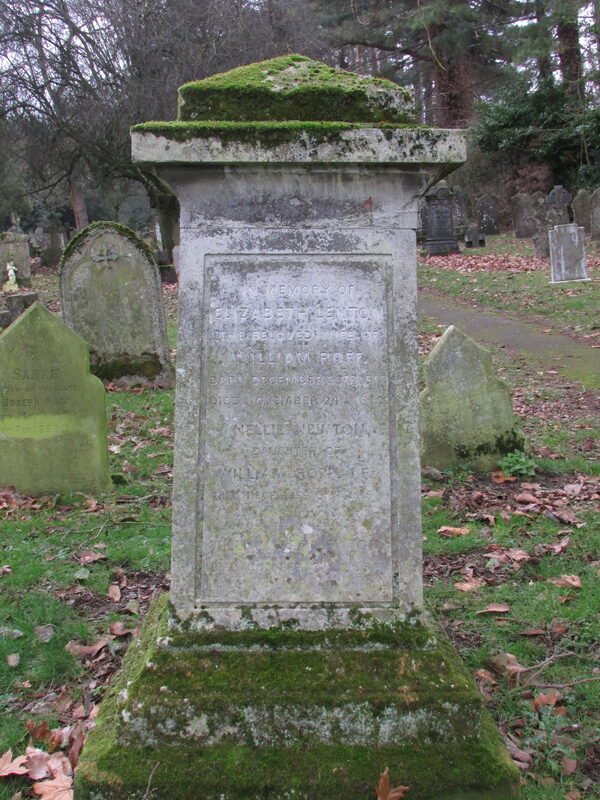 In 1838, in the year of Queen Victoria’s Coronation, Thomas Rose set up a drapery store at 51-53 High Street. 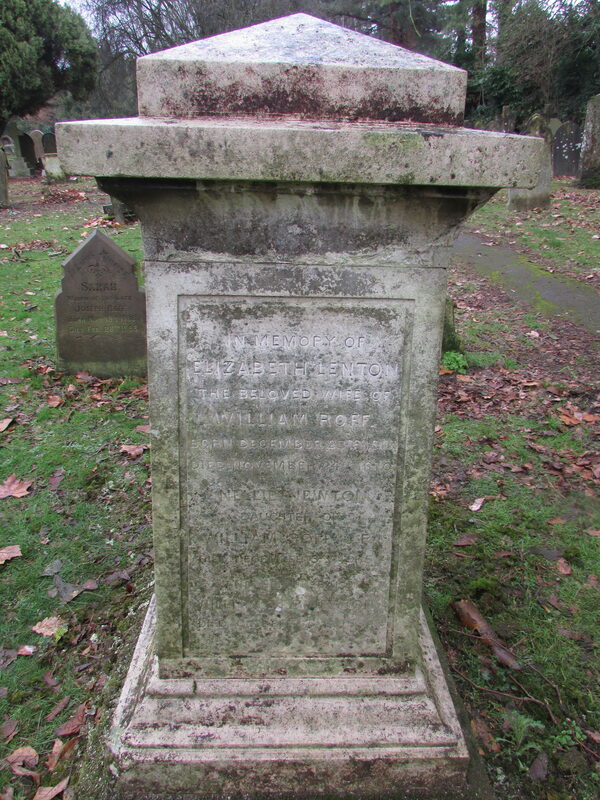 When he died his eldest son, Edward Paine Rose, ran the business. 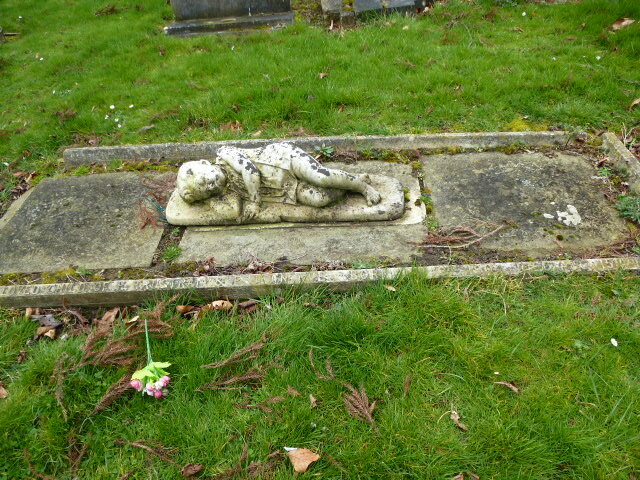 The store was later known as E. P. Rose & Son, which now houses Debenhams. 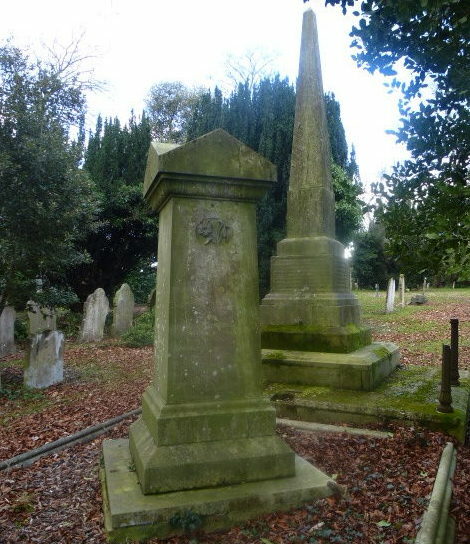 Thomas’s large and impressive memorial, in the form of an obelisk, shows the sign of his wealth and status. 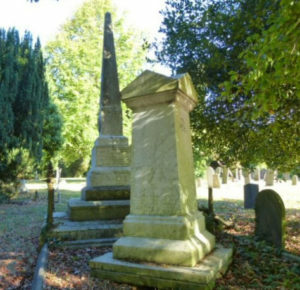 Edward seems to have had a close relationship with his father as he chose his memorial to stand by the side his father’s obelisk. 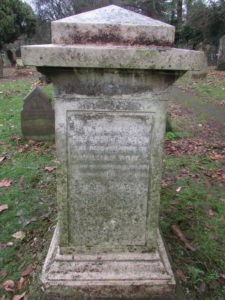 Inscribed on the obelisk are Thomas, who died on the 6th January 1863 and his 18-year-old daughter, Susie, who, died on the 9th February 1868. 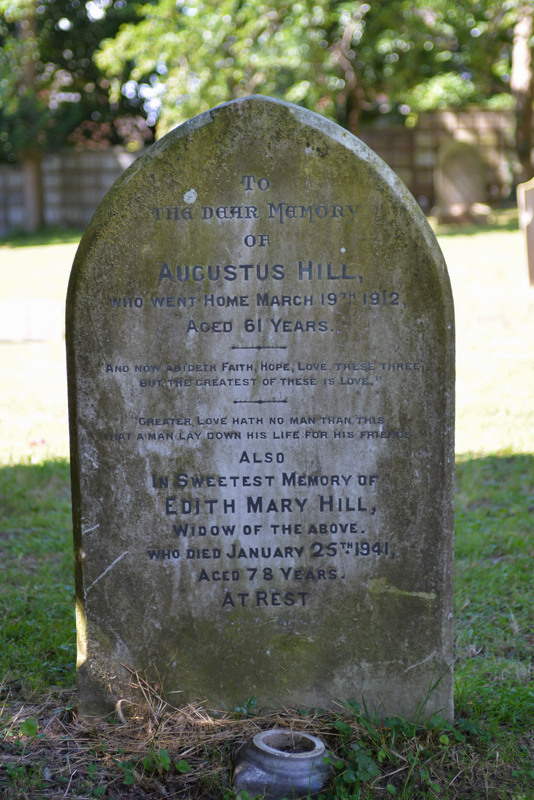 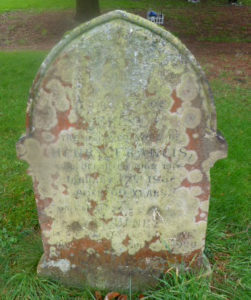 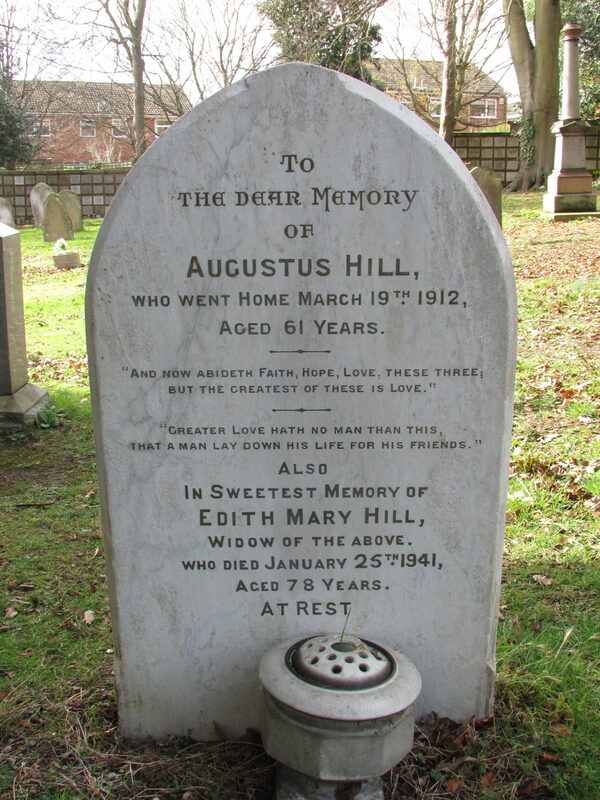 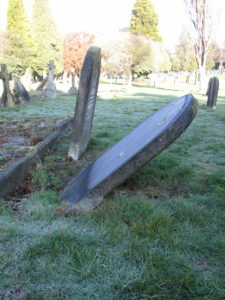 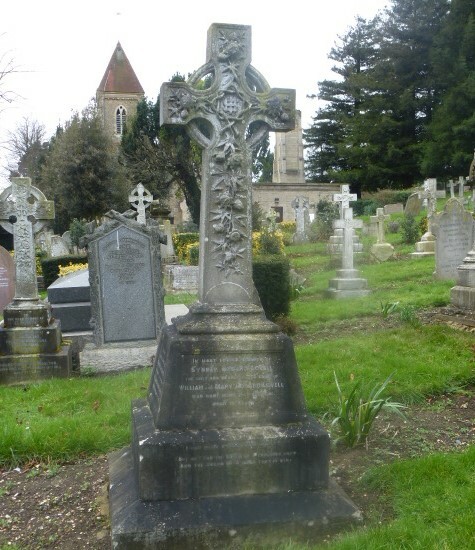 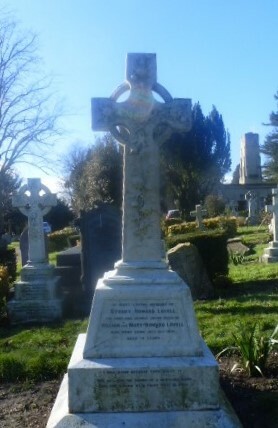 The last burial in the family plot was his wife, Mary; she died at the age of 86 years, on the 3rd March 1907. 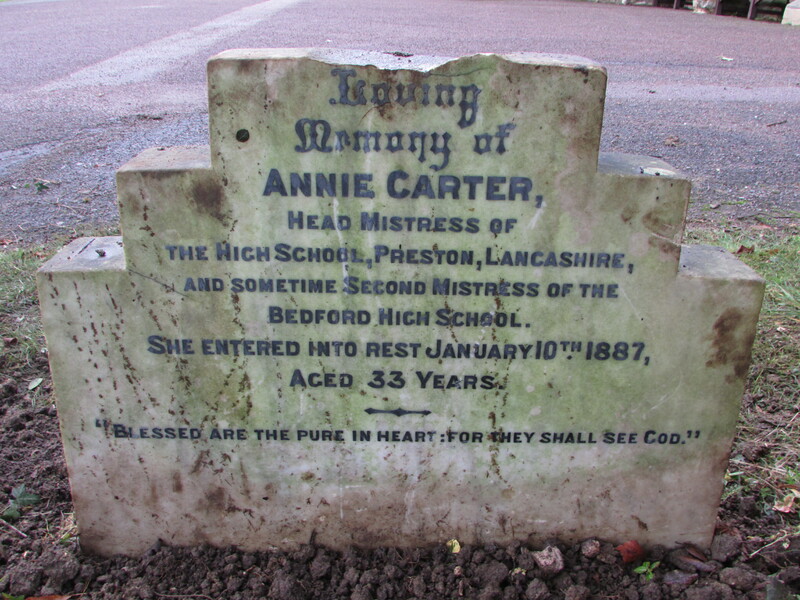 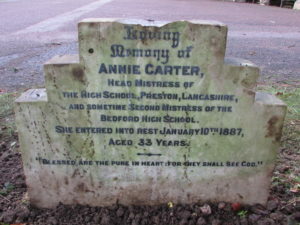 Annie Carter Head Mistress Of The High School Preston Lancashire and Sometime Second Mistress of the Bedford High School. 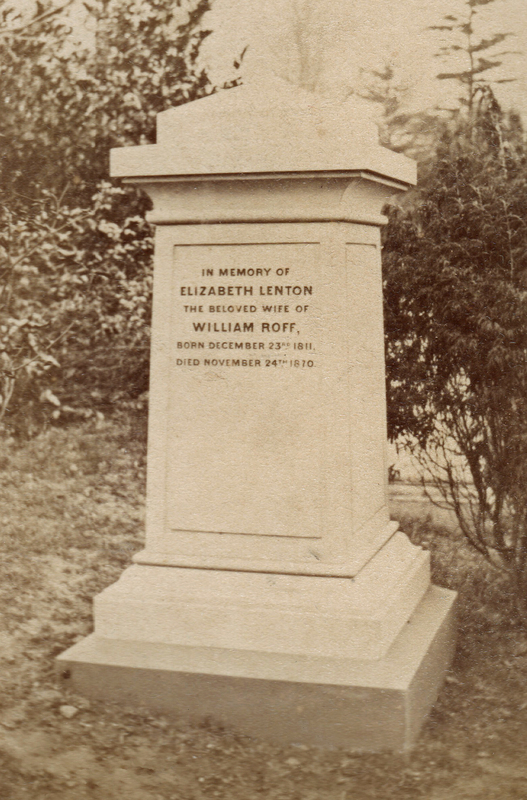 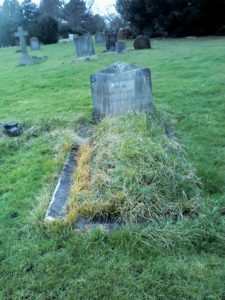 Elizabeth Lenton Roff died on the 24th November 1870 at the age of 58. 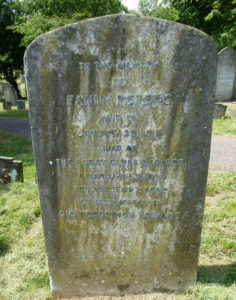 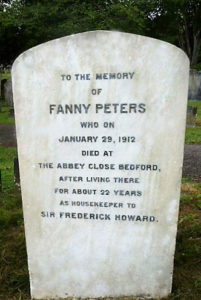 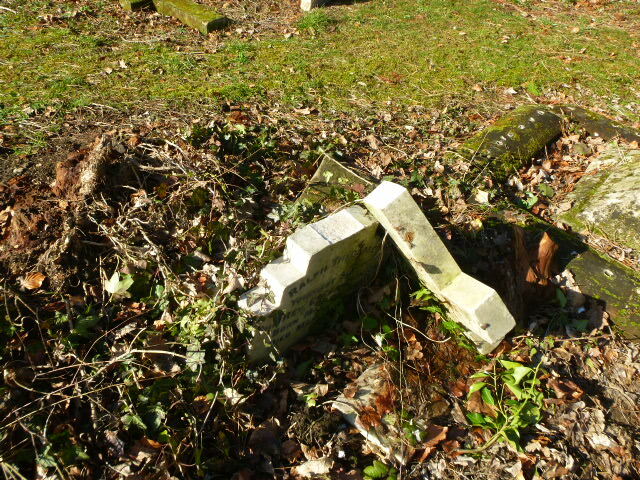 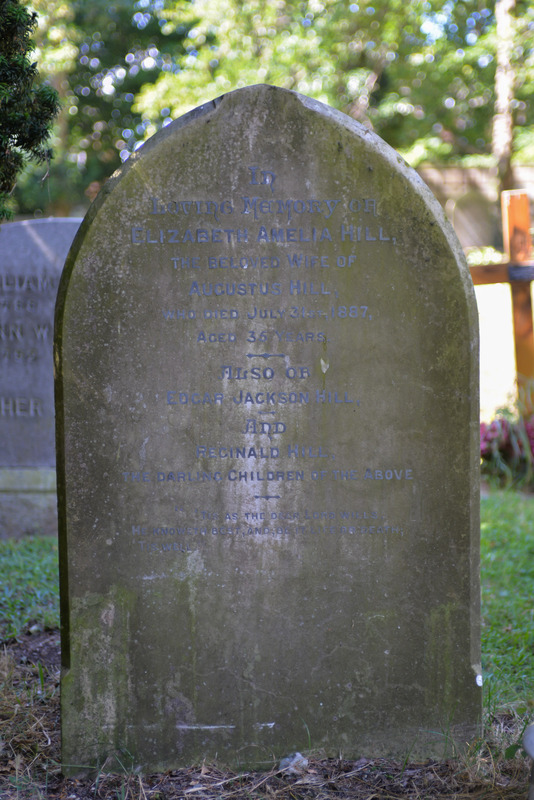 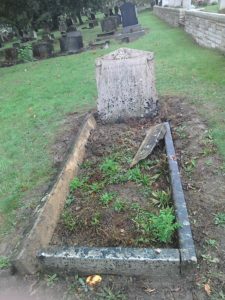 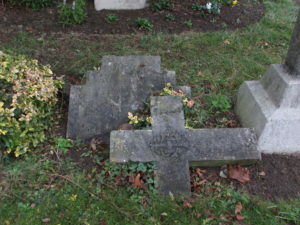 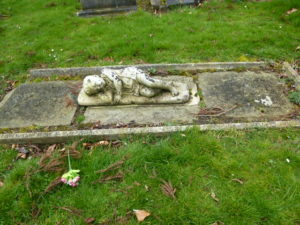 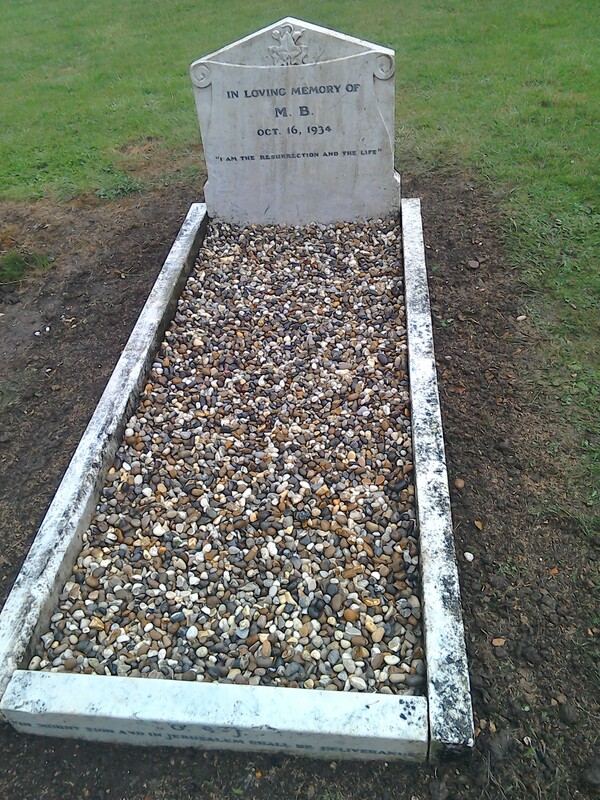 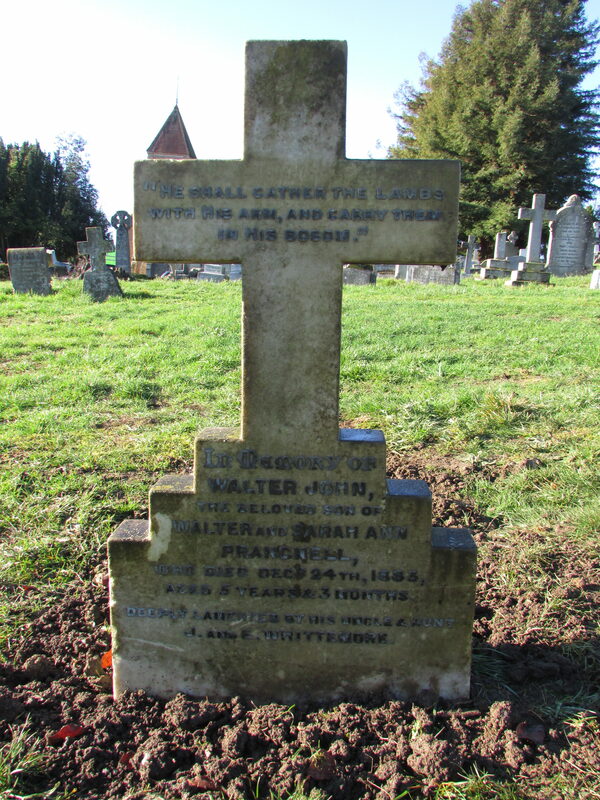 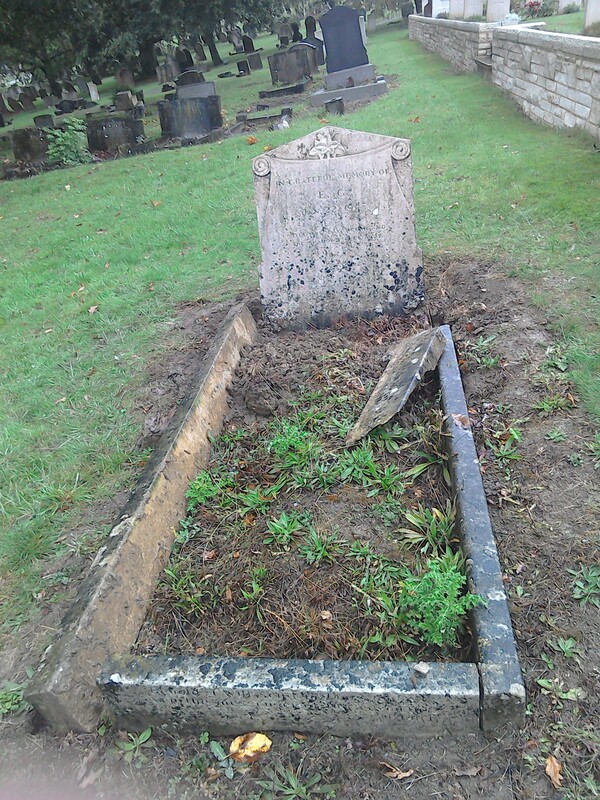 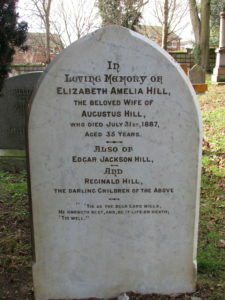 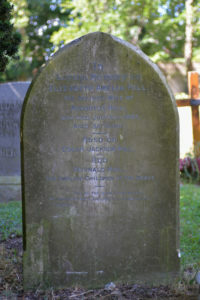 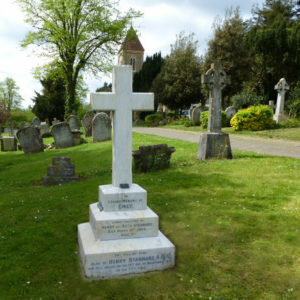 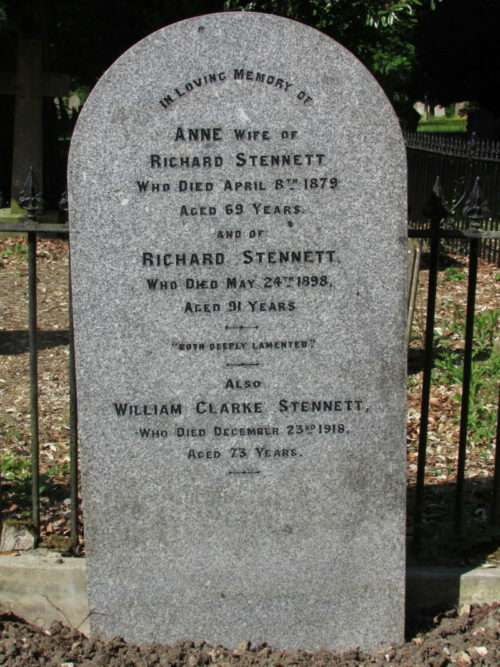 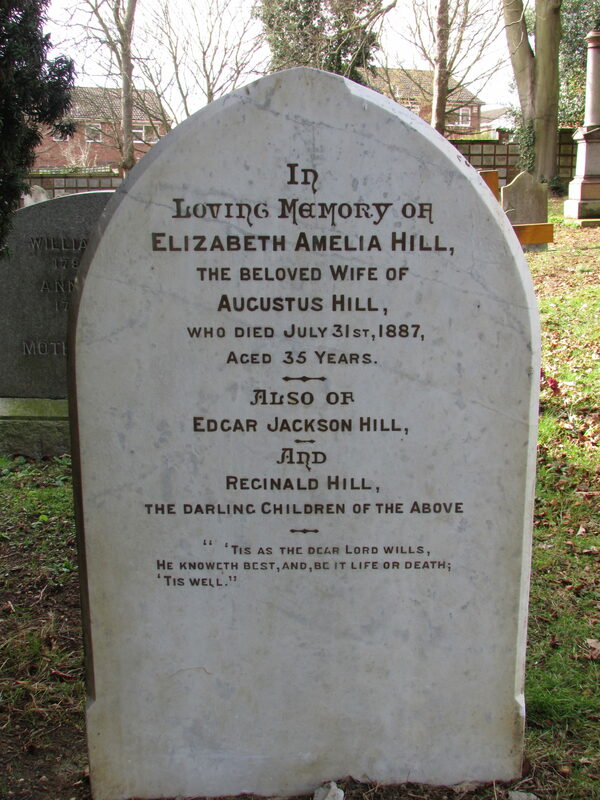 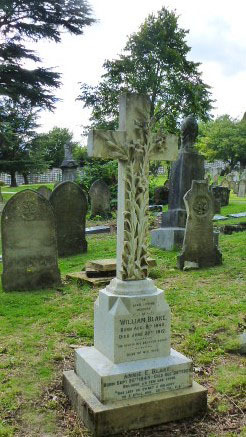 She is buried in the same grave as William Roff senior, who died on the 25th November 1897 at the age of 86. 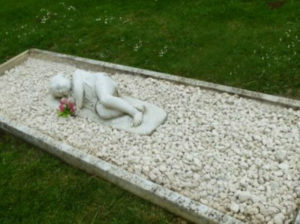 (Grave ref D.1. 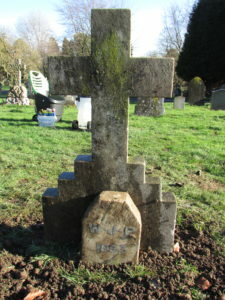 65). William Roff JP (son of the above mentioned) the ex-Mayor and High Street shop owner died on the 23rd June 1920 at the age of 78. He is buried in grave D.1. 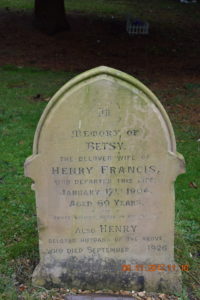 64 together with his wife Mary who died on the 21st February 1921 at the age of 75. The first photograph, which was kindly given to us by the family, shows the memorial in its splendid and pristine condition when it was first erected in 1870. 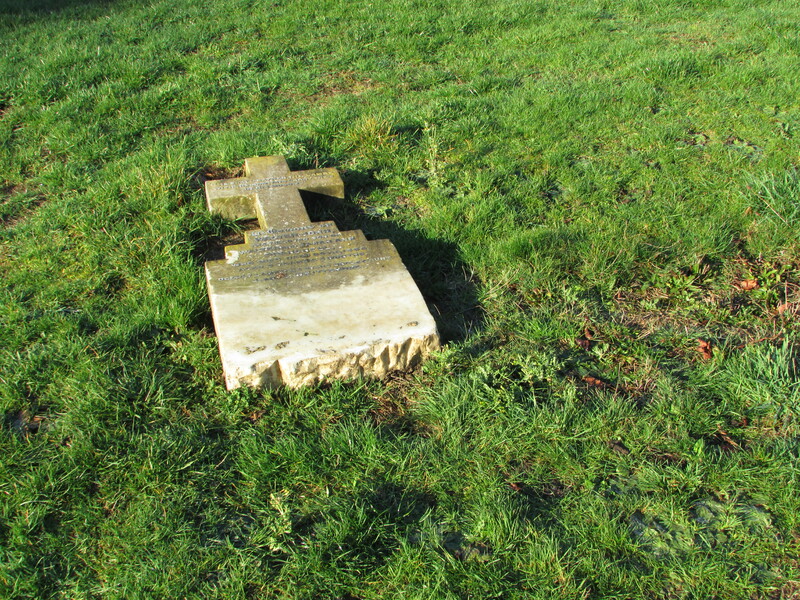 The Working Party managed to straighten the memorial stone of Mary Ann Keep (Grave ref G5 165)which had been sloping at a 45 degree angle. 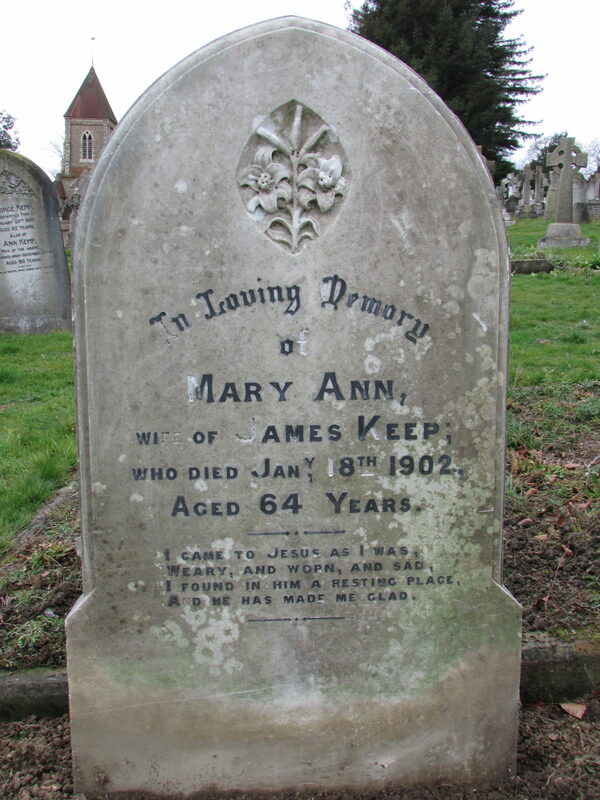 Mary Ann Keep died on the 18th January 1902 aged 64 years and was buried next to her husband James Keep. 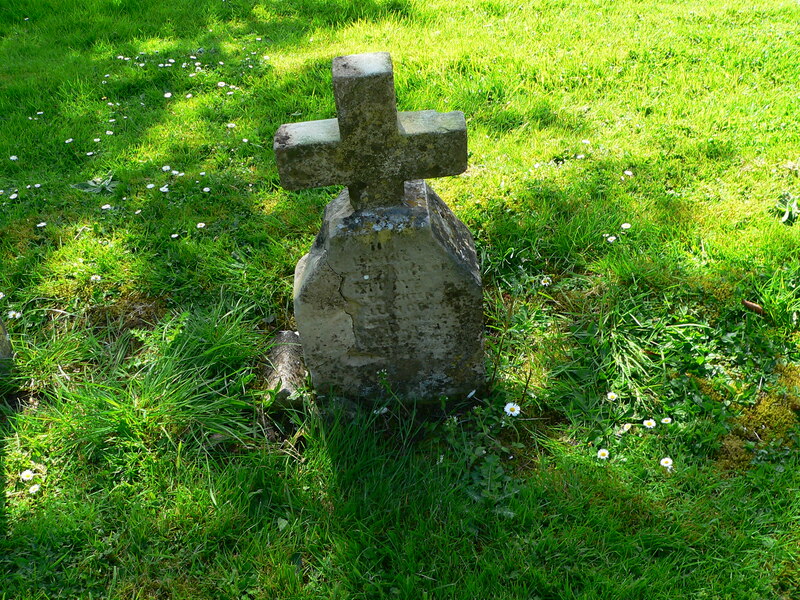 (Grave ref G5 155). 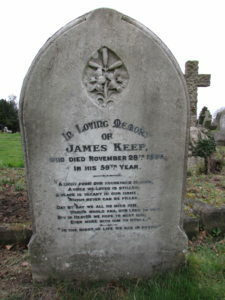 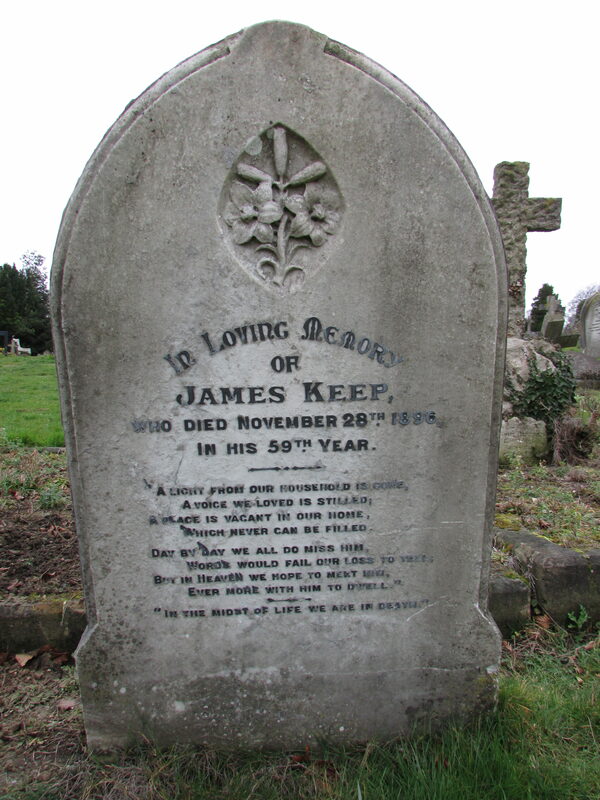 James Keep died on the 28th November 1896 in his 59th year. The photographs also show the upright and cleaned memorials. 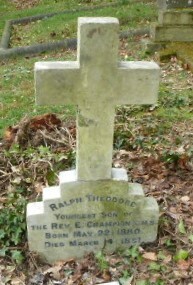 Ralph Theodore Champion, born 22nd May 1880, died 14th March 1881. 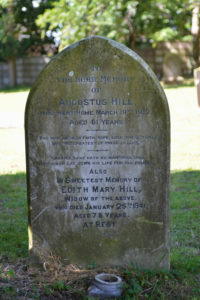 He was the youngest of eight children of Annie and the Rev. 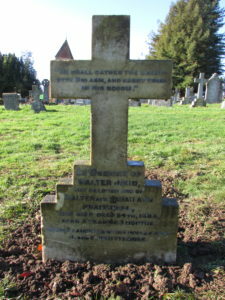 E. Champion, who lived in Dame Alice Street, Bedford.